Who is a guardian ad litem? A guardian ad litem is (GAL) is a person appointed by the family court as the child’s representative in divorce, responsibility or parental rights cases. The GAL advocates for the children’s interests and is often an independent voice in court. 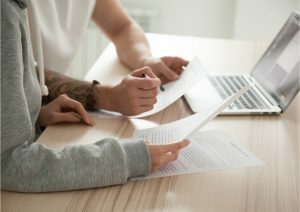 A guardian ad litem plays a crucial role when parents are involved in a dispute over child custody. In Maumee, Ohio, the family court usually appoints a guardian ad litem. The GAL work is to study the family situation and recommend to the family court where the children should live, and how the parents can relate to the children in the future. Who Can Act As a Guardian Ad Litem? The family court in Maumee, Ohio may appoint an advocate for the child whose parents are involved in divorce cases. The GAL is a qualified and experienced person, preferably with knowledge of children affairs. Although the family court usually appoints the guardian ad litem at the beginning of child custody cases, the GAL may come in any time the interests of children arise. • The GAL consults with the children, the children’s organizations and the family to understand the custody dispute well enough. The information gathering process will enable the GAL aware of the children’s wishes. When the time to present views in court comes, the guardian ad litem will inform the judge of the children’s wishes. • The GAL must do investigations, gather facts, and facilitate negotiations between the disputing parents. Later, the family court in Toledo OH will hear the facts and act in the child’s interest. • The court appointed guardian participation in divorce cases involves the assessment of the parent’s financial status, mental health, emotional health, drug abuse history, and moral conduct. The GAL’s findings once communicated to the family court can help to determine who is best suited to have the children’s custody. • Among the facts that the guardian ad litem may gather are domestic violence, and whether the parents are available for the child. The GAL should inform the family court the parent whose work schedule allows for responsible child upbringing. • It is the guardian’s responsibility to interview both parents, visit the current family home, inspect the proposed custodial home, interview the child, and talk to family friends or neighbors. • A GAL who takes his role seriously may even ask for the parent’s mental health records, medical records and school reports. There are instances when the guardian ad litem liaises with social workers or psychologists so as to generate reliable family court testimony. The GAL will file a report to the family court after completing the investigations. Each of the parents and their attorneys will also get a preliminary report. When the parents cannot agree on the recommendations, the judge may set a date for hearing the child custody case. The recommendations can use the information to cater for the child’s interest. The role the guardian ad litem plays whenever parents cannot reach consensus about where the children should stay is crucial. The Toledo OH GAL reaches his findings after reviewing the child’s relations with each parent, religion, the child’s age, and the child’s educational needs. Call Toledo divorce attorney Michael E. Bryant today for all of your legal needs. Find Michael E. Bryant online at www.mebryantlaw.com, visit our law office in Toledo, OH on the second floor of 1119 Adams St. or call us at (419) 243-3922.